In 2017, Myriad participated in the largest dive trade show event in the world, known as the Diving Equipment & Marketing Association (or DEMA) Show. In 2017, Myriad participated in the largest dive trade show event in the world, known as the Diving Equipment & Marketing Association (or DEMA) Show. 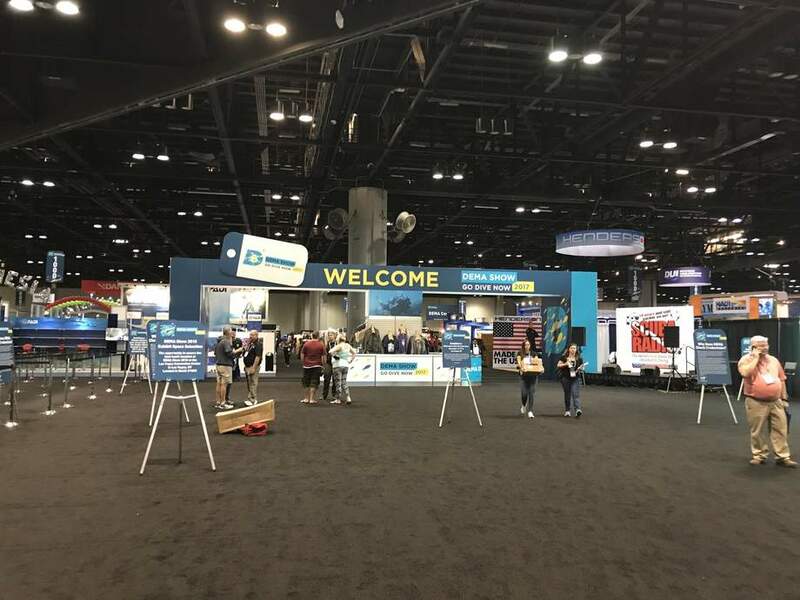 Each year, DEMA attracts thousands of attendees from across the globe to promote dive products, network with industry members and attend informational seminars. The show consists of sellers, buyers and media; featuring everything from scuba diving products to tour operators, and obviously, destinations. DEMA’s annual diving show that helps destinations “make a splash” in the dive market. Destinations can position themselves as premier dive locations and promote dive tourism opportunities to key industry players. Destination representatives take on the roles of educating both media and buyers about various destination offerings, as well as networking with current partnerships. The overall goal is to create more quality product offerings and increase destination demand. Divers are high-yield consumers with a higher intent to travel, thus making this niche market a worthwhile investment for preeminent dive destinations’ tourism marketing strategies. We attended DEMA on behalf of our clients Discover Dominica Authority and the Papua New Guinea Tourism Promotion Authority. As representatives, our goal was to creatively position our clients as top destinations for diving. Discover Dominica Authority, which represents the tourism sector in Dominica, showcased a nature-themed booth. Being that Dominica is known as the “nature” island, our booth was covered in lovely plants and beautiful dive banners. Discover Dominica Authority is a long-time member of DEMA and always makes sure to attend the show each year. Having a tough break in September 2017, they aimed to give faith to their fellow dive community and inform them that the destination is rebuilding and coming back better than ever! Papua New Guinea Tourism Promotion Authority teamed up with the Papua New Guinea Dive Association and partnering dive resorts to occupy a three-booth-long space at the show. We used our presence there to tell the story of Papua New Guinea through banners, videos, brochures and conversations. Catching up with our agents and fostering new partnerships at DEMA each year continues to prove the unmatched value of the event. In the age of digital marketing, these more traditional methods remain highly important in the travel sector. Many international trips are still booked through travel agencies despite the past surge of OTAs. In fact, current trends show bookings through travel agents are actually on the rise again; MMGY Global’s 2017–2018 Portrait of American Travelers® showed that 83 percent of travelers in 2017 will use a travel agent when booking a vacation package or tour. Teaming up with agents, wholesalers and tour operators to optimize the distribution channels is a cost-efficient way of enhancing a destination’s exposure to a given market. Moral of the story: don’t rule out traditional marketing, it’s all about the right media mix! And if you have the chance to dive in Dominica or Papua New Guinea, take it!